One concern we often hear voiced by customers (or perspective customers) is that they’re afraid they might be overestimating their flower quantities, or that they’re wary about the wholesale package sizes. While this is completely understandable when placing your order–and even more so when you’re staring at 18 buckets full of flowers in your kitchen after delivery–it’s likely going to be a much different story once you’re at the spacious venue with an entire wedding party to accessorize. Additionally, since fresh flowers are a product of Mother Nature, it is a good idea to account for a few imperfect or damaged blooms. Of course we hope this doesn’t end up being the case for our customers, but it’s always a good idea to be prepared. Plus there’s no such thing as too many flowers! Here’s a little inspiration to make use of any “leftover” flowers you may find yourself with after making bouquets, boutonnieres, centerpieces, etc. Lining your aisle with floral arrangements, even something very simple (i.e. can be easily put together while setting up at the event location), can serve to make quite an impact in your ceremony. 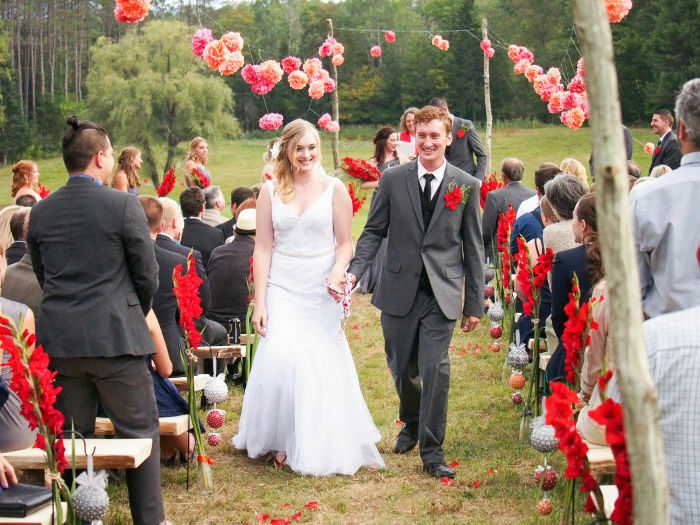 This couple stuck with a single variety of flower–Gladiolus–in a bold red shade to up the “wow” factor. 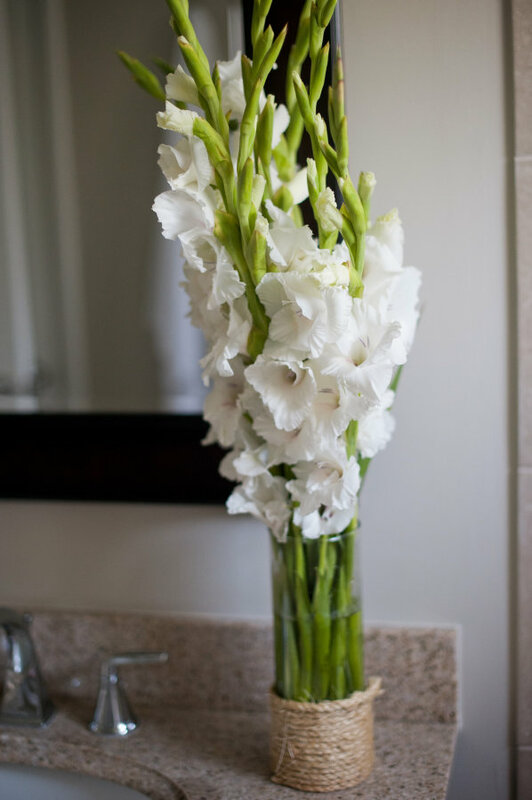 This is usually one of the first things your guests see upon entering, so why not spruce it up with a little floral arrangement to greet them? It’s also a nice way to keep your color scheme represented throughout your event. Add some interest with a bit of height variation! 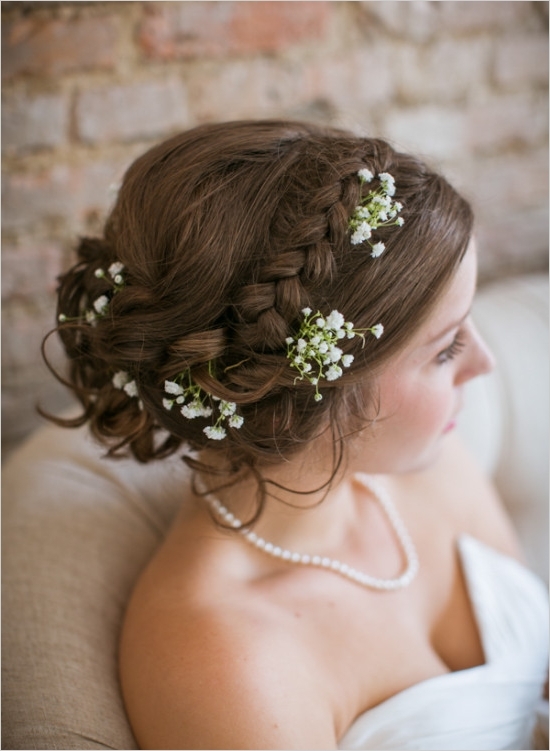 Keep some flowers on hand to work into your tresses! 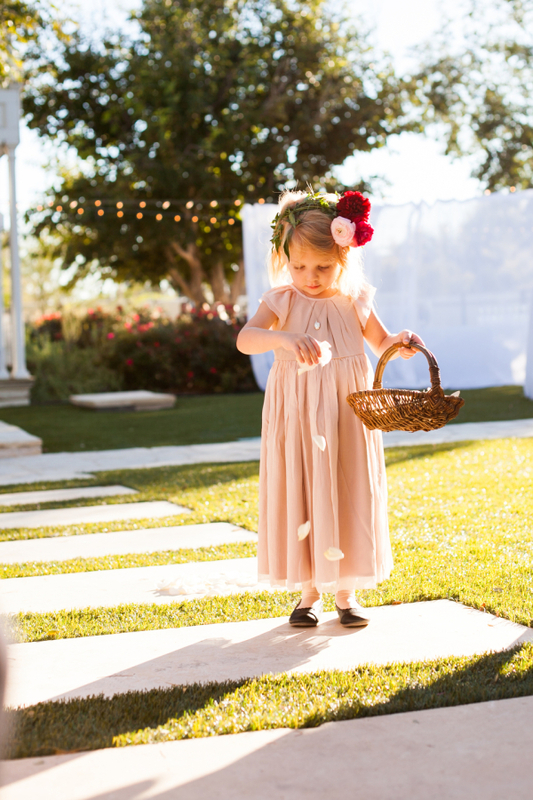 Even if you don’t have time to weave together an intricate floral crown, a couple sprigs of your filler flower (like Baby’s Breath or Wax Flower) can go a long way in dressing up a simple chignon. 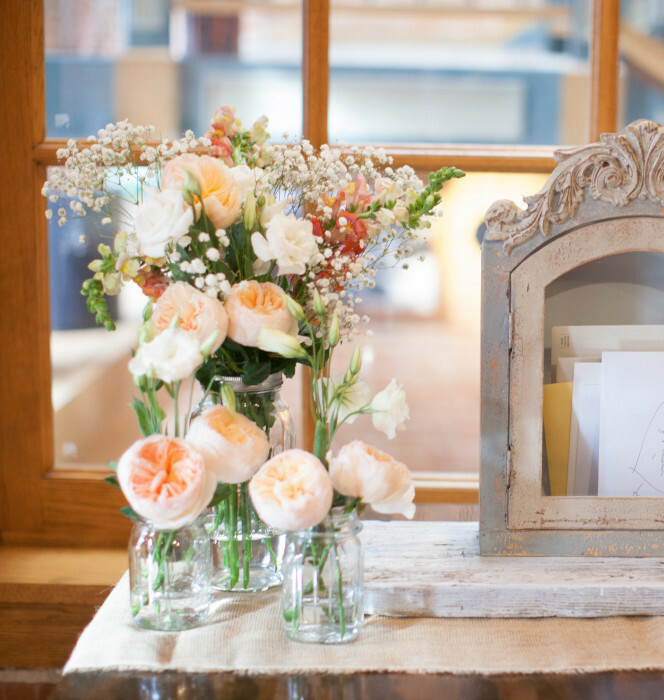 Perhaps not the most glamorous part of your venue, but it can easily be embellished with a simple vase full of flowers. You can also accompany this with a small basket of “emergency supplies” like mouthwash, hairspray, a lint roller, etc. in case guests need to freshen up a bit after a turn on the dance floor. What better way to ensure that your bouquet matches your aisle petals than to source the petals directly from flowers that didn’t make it into your bouquet! You can also fashion a sweet floral headband for your little lady if you have some floral tape or wire available. An especially good use for the odd short-stemmed flower, or any that might’ve broken while putting together arrangements. 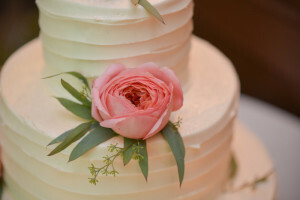 Just float the blooms in a bowl of water to keep them looking fresh, then pop them onto the cake before cutting! A touch of greenery brings the look together nicely, as seen below. Always better to have extra at the ready for any additional opportunities that might present themselves! Any more you can think of? Share your suggestions in the comments below!